If you told someone that you were swapping out the signature rotary from an RX-7 for a General Motors performance engine, they would have one of three reactions: 1. An offended inquisition as to why you're getting rid of the engine that sets Mazda RX cars apart from all others. 2. "Yeah, bro, GM power." 3. An eye roll, followed by mumblings of so mainstream. 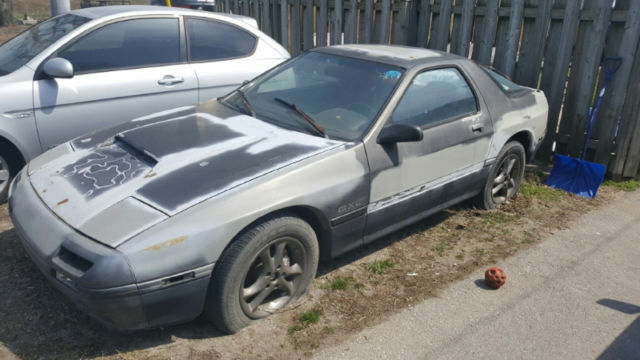 This project car for sale on kijiji.ca elicits all three reactions, because it uses a General Motors performance engine—but it isn't an LS V-8. 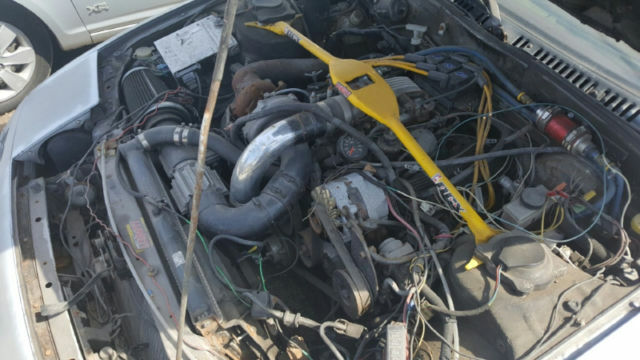 No, this RX-7 is the recipient of a donated turbo V-6 from a Buick Grand National. We also have to wonder, Why not a Hellcat? But that's not on the menu in this ad. According to the seller's description, the car was inherited, likely from an uncle, father, or grandfather, and though it supposedly needed just a battery, the lost keys mean this car is going to need some serious work to be made roadworthy. 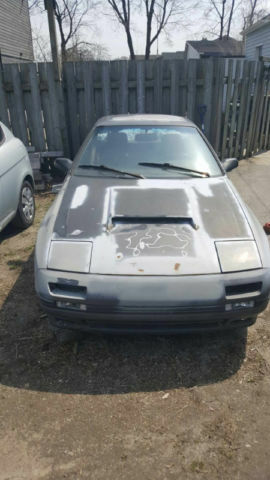 1987 Mazda RX7 fitted with a 87 buick grand national engine and transmission. As is. No trades please. Inherited the car 2 yrs ago, was told it just needed a battery installed to get it started. The ignition keys have been lost. Whether or not it is possible to get any more alt than this is being researched by leading members of Jalopnik's brown diesel wagon fandom. How the car's previous owner reached the decision to swap in the turbo General Motors V-6 and automatic transmission from a Grand National is lost to the ages, and how they managed to source such a rare engine is mind-boggling too, as the turbocharged cars made up but a small minority of Buick Regal sales. This car looks to be a proper fit for anyone from vehicular hipsters to Grand National owners, though these two groups already have significant overlap. Whether or not anyone can get this frankenstein monster running again has yet to be seen. Jay Leno Takes an E30 M3-Swapped BMW 2002 for a Spin in L.A.
A de facto predecessor to the M2 to finds its way into the celebrity's garage. This 1985 Ferrari 308 GTS QV wasn't quick enough for the original owner, so the owner crammed a V-12 into it. From the obscure to the obvious, these swaps have to happen at some point. The Driftworks AE86 spins it tires on the dyno as it desperately looks for traction.